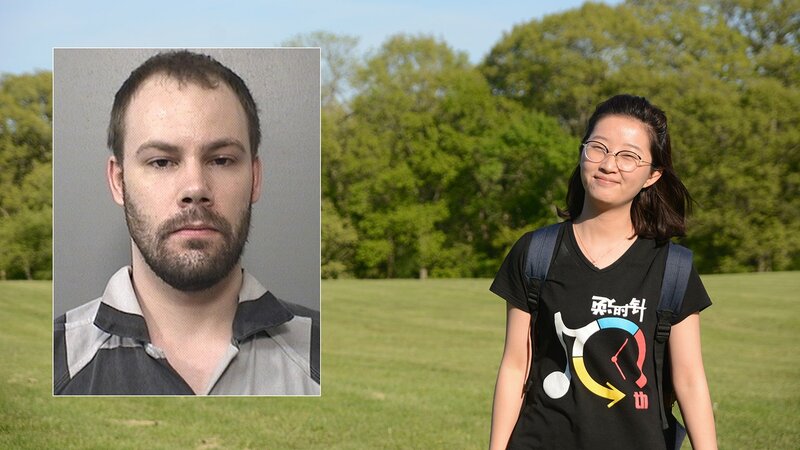 Prosecutors, who are seeking the death penalty, say Christensen lured Zhang into his car in June 2017 as she headed to sign an apartment lease off campus, torturing and killing her. He was arrested three weeks later, though Zhang's body has never been found. Defense attorneys say they aren’t casting blame on the university for Zhang’s death. But as they endeavor to persuade jurors not to put to Christensen to death, they want to demonstrate how he had sought help but didn't get the help he needed. The filing, among other things, cited the center’s purported “failure to develop an adequate treatment and safety plan,” “'failure to make appropriate referrals for further treatment” and failure to adequately coordinate with psychiatrists who had treated him elsewhere. In announcing last year that they were seeking the death penalty, prosecutors said Christensen once expressed his aspiration “to be known as a killer.” And 2017 charging documents say his phone had been used to view a forum called “Abduction 101” on a fetish site.